Having no idea the weather we would be encountering during the Transcontinental made packing clothing very difficult. We knew we would be in the alps for two, maybe even three days and having lived in the French mountains for several years, I was very aware how fast the giant storms could roll in and soak you to the core without a minutes notice. We were also going to be traveling through eastern Europe in August possibly dealing with temperatures close to 40°. We were also going to be riding through the night and especially at dawn it can be far cooler than any other time of the day. The other slight spanner in the works, was that days before we were about to leave Westminster Bridge, Hurricane Bertha was due to be sweeping across Europe, almost in the exact direction. Great! It was decided that only one jersey would be taken…yuk…one jersey for the whole two week trip. That was going to be pretty disgusting by the end of it. Those that know me, know I have a tendency to ‘over heat’ on rides, so even after a few hours, kit usually needs a good wash. I wasn’t sure this was going to be the most hygienic way to travel, but hey, it is a super light ultra distance race…lets try. 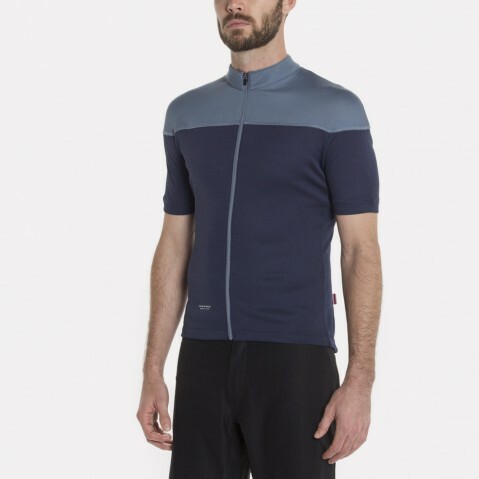 Giro make some merino wool jersey which are very understated in design and fit really well. I didn’t fancy riding across Albania looking like a huge billboard for cycling so something plain would work well for me. Colour wise, darker the better, it would show up the ‘effort’ far less. Merino is also renowned for its no odour properties and this would be put fully to the test. I was a little concerned about the extra heat of merino on the hot days, but to be honest, it was fantastic. It kept me cool and regulated my heat really well, never feeling that it was an issue. On the cooler/cold/freezing days it was a welcome insulation layer that helped to preserve any body warmth we may have made. The most impressive feature was quite simply it’s robust build. The jersey is still in great condition even after being ridden for 3600km and being put on and off and jackets, food and maps stuffed in pockets. In contrast to some other ’boutique’ brands the pockets have lasted with no damage to the stitching or stretching. The only damage was when I crashed (I literally fell asleep on my bike and toppled sideways). This ripped up some of the shoulder, but the holes didn’t get any bigger for the rest of the trip. Very strongly recommended and I will be definitely using this jersey again on longer rides. In addition to this, I took a long sleeved Howies merino thermal. This was to layer up with the Giro one and also to sleep in. No really need to review this; It’s a Howies product so it’s well made, functional and sensible price. I took a Rapha Waterproof shell with me. 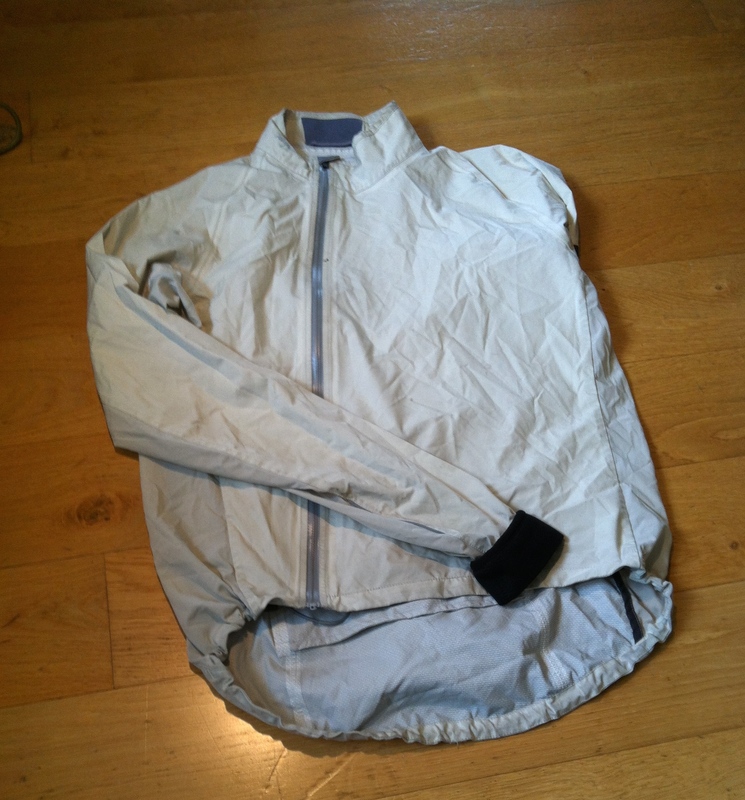 I’ve had this jacket for several years now and it has stood up to a lot of abuse, packs down really small and is surprisingly waterproof for such a thin layer. The warm cuffs help keep the cold out and warm in and the ‘originally cream but now brownish’ colour was more visible at night than other darker jackets. There are some reflective trims on arms and hem which help make dozy drivers aware of your existence at 2am. A proper saviour in the mountains. I took two sets of shorts with me. Not washing a jersey is one thing but the same pair of shorts for two weeks would be another thing all together. The plan was to wear one pair for two days, then wash and swop around, giving the other pair proper chance to dry. In practise, this did not happen. After 3 days, saddle sores were pretty painful so I took to wearing both pairs combined with half a pot of chamois cream and some vitamin I to ease the pain. This did work and after day 6, I had almost forgotten the pain of sitting. 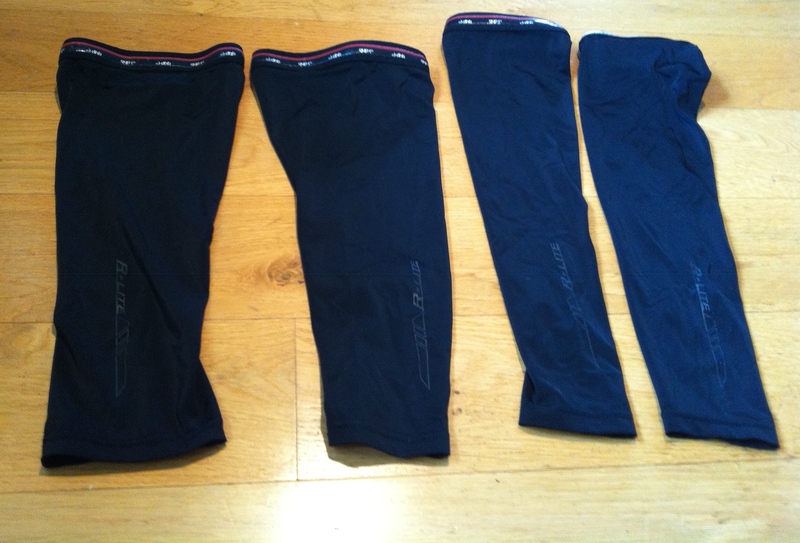 The two pairs were some Rapha Thermal Bibs and Castelli Free Aero Bibs. Basically these were the two best sets of bibs I owned so thought I should take them. Both were brilliant and fitted really well, comfortable and eased the pain of spending 15-18 hours a day in the same spot. The best kit is the kit you don’t recognise…and I would forget I was wearing this. Giro Atmos. Really comfortable, light, airy, what more do you want in a helmet. Oh yeah, some high vis accents on the back to help being seen….check. Mounted on the helmet, is an Exposure Joystick. This did stay off most of the time but was really useful for rummaging around in bags and general faffing at night. The Empire shoes were probably my favourite item of the whole trip. They were simply outstanding. Really comfortable, but stiff and easy to pedal in, yet easy to walk in as well. I think they look amazing too. Clean, classic looks with loads of tech in them and really cool orange heel piece. Brilliant shoes for every sort of road riding possible. The thing that blew me away the most was how new they still look. After the whole event, in rain, dirt, gravel, heat, cold, wet they still look brilliant after a wipe with a soft cloth. The cleats wore pretty fast but i’m not surprised. Arm warmers, knee warmers, socks, gloves and underhat. All really useful extras that saved us on a few occasions. Gloves maybe one of the most important parts of my entire kit as I finished with compressed ulnar nerves in both arms which has caused quite a lot of issues. Even simple daily tasks have been a huge issue, pinching, zipping, gripping are all high on the no-go list. With cheaper or no gloves, this issue could have been very serious possibly resulting in some proper rehab rather then just pain and annoyance. 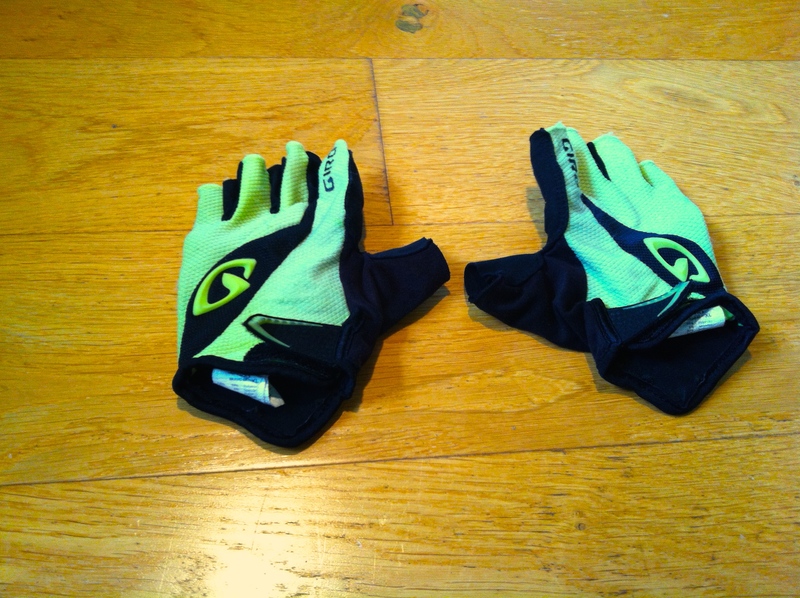 These Giro gloves were super hi vis; great for signalling at night with a suitable amount of padding on the palms. The colour has faded quite considerably after the 2 weeks, but they have been on my hands the entire time, not really surprising and they have protect my hands in my two embarrassing crashes of my life. I think next time, some thicker arms and legs as the ‘race’ spec lightweight ones that were taken were ok, but heavier warmer ones would have been worth carrying. 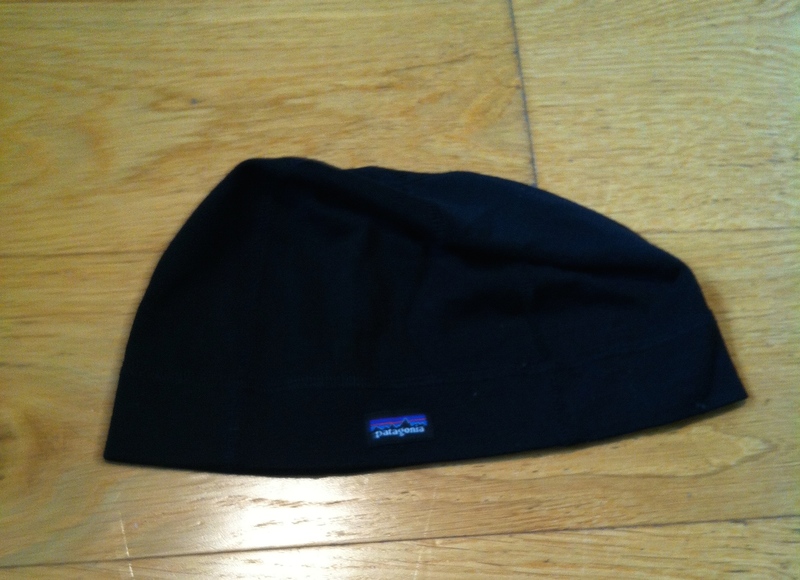 A Patagonia merino underhat was superb as were the merino socks…basically merino was the material of the race! If anyone is thinking of doing an event like this, any materials options, choose merino. Fast drying, comfortable and warm, even when wet. Good sunnies are really important when riding from dawn to dusk. 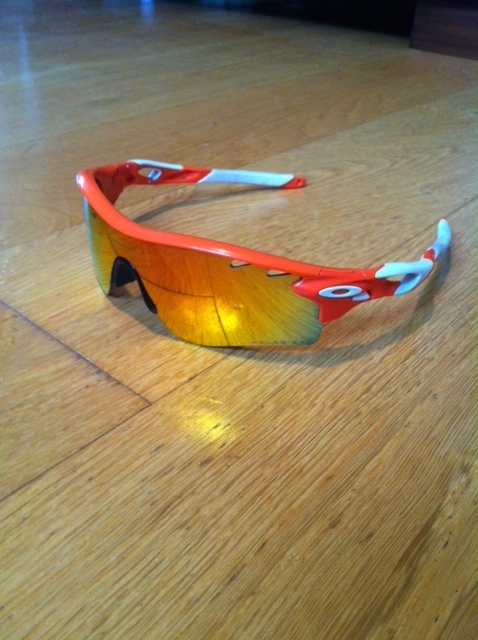 A pair of Oakley Radar Locks with Polarised lenses did the job admirably. Comfy, no fogging and perfect optics meant they were a pleasure to wear and tucked into the giro helmet really snuggly for night riding. They are still in very good condition at the end considering what they have been through. In addition to these items. I took a pair of swim shorts. These dry really quick, super light and make a nice change from sleeping in riding shorts. A merino buff for keeping the draughts out. I purchased a set of waterproof trousers in Davos when the weather was really really bad and that totally saved me. Warm and dry(ish) and made the 2 days in the mountains during a hurricane almost enjoyable. We did end up living in bin bags for a few days too. thinner ones in shoes and under helmets and thicker ones as gilets. They made a huge difference to our warmth levels and cost next to nothing. Washing up gloves kept out hands free from cold rain…and looked fantastic. This was everything we had…no other shoes, no extra layers, no downjackets. Just the stuff above. I think the clothing we took was suitable and not excessive at all, especially for a 2 week race. I used everything I took and felt that nothing was not worth carrying. I was very happy with all my clothing selections. All was packed into the rear saddle bag for ease of access. 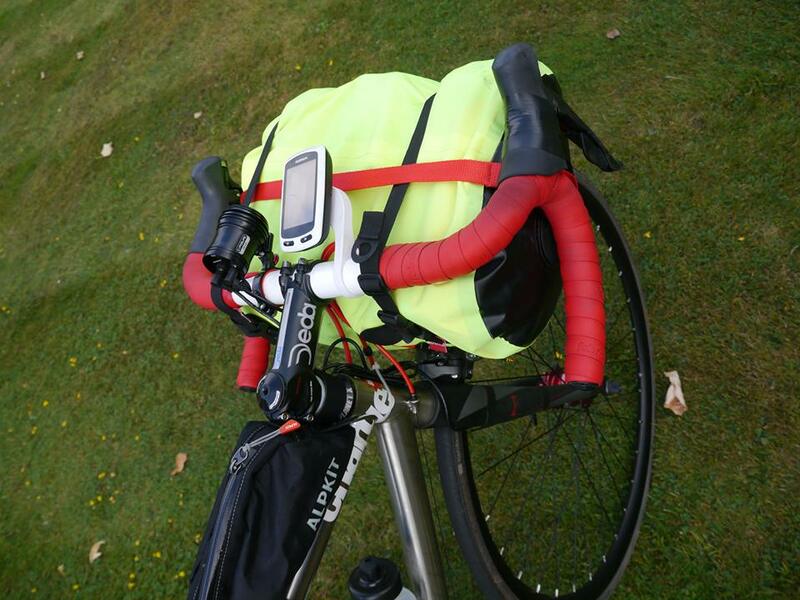 An Alpkit bivi bag stayed with us for the whole time. Great bit of kit. It packs down super small and was very comforting crawling into it at any time of day for 30 minute nap. We went for the cheap and cheerful method for sleeping bags and 1/2 roll matts. Decathlon junior versions to be precise. Small, light and cheap. These were rolled up in order and stored in a dry bag on the front of the bike. These were thrown after Italy as it was warm enough to do without. 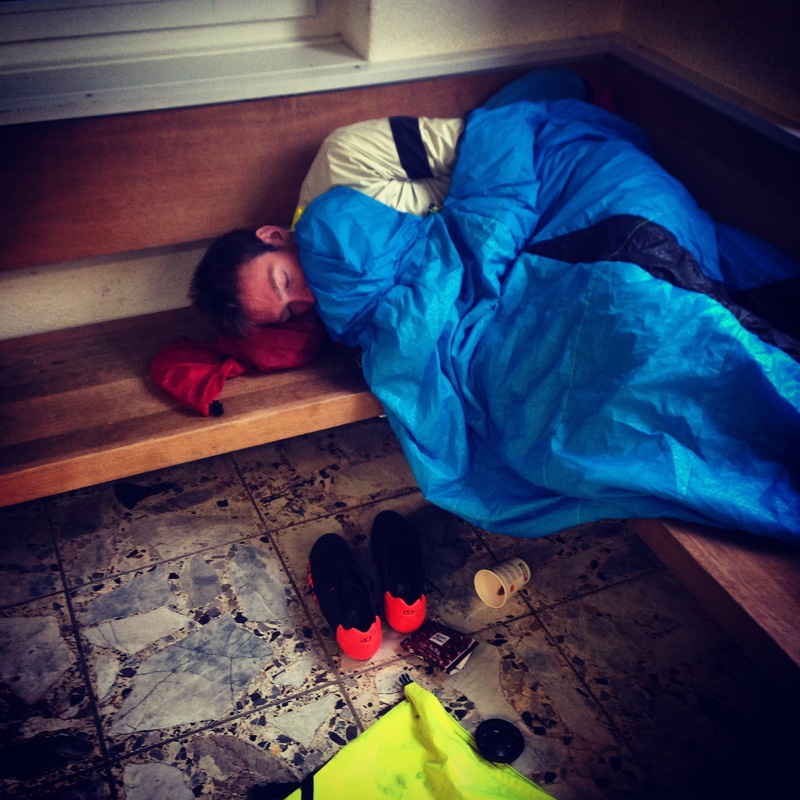 Pillow was a dry bag with clothes in…overall a very comfy sleeping arrangement that I would use again in an instant. Chapeau! is a company started by cyclists for any one who enjoys riding a bike. They produce clothes that are high quality but also great value. Being cycle consumers themselves they have created kit that’s bang on, it looks good, fits well is affordable and still very functional. This week I had the chance to travel with Chapeau! to the Pyrenees for a 4 day point to point tour starting in France and moving through Andorra and Spain. Living in the French alps I am used to being surrounded by mountainous landscapes but one thing I love about the mountains in that they are all so different. We started our tour landing in Toulouse and heading to St- Gaudens for the first night. Driving from Toulouse there are big skys and rolling hills but when when you get to St-Gaudens which is right on the edge of the Pyrenees national park you come face to face with huge snow capped mountains. The Pyrenees has an untamed feel to it, wild and rugged. Captivating anyone with any sense of adventure. The first evening it was cold and wet but Dexter, James (the 2 male models) and I were keen to get out for a look around and spin on our bikes, it was also the perfect conditions to test out some of the Chapeau! winter kit. I wore the ladies merino base layer, long repel bibtights and mistral jacket, the kit is designed to repel water and dirt, be warm and still comfortable. The kit defiantly does all of those things, we heading out on a fast 40km out and back into the countryside there was a lot of water coming up off the roads but i stayed dry. Throughout the week I also wore this combination for early morning rides when the mountain air still has a chill to it. One of the best things for me is that all the kit is women specific so the cut is flattering and the design is feminine and in stylish colours- I love the rust colour of the jacket it defiantly stands out so your visible when riding. The next morning it was an early start and busy shooting schedule. Coffee, pastries and a fully packed car headed off into the mountains. The sun came out as we headed up the col de Menté, its a demanding climb so for this shoot we used the Chapeau! Madeleine performance range. These jerseys are light weight and made from a more technical material . There are two main pockets at the back for extra layers, a little zip waterproof pocket for coffee & cake cash then two side pockets great for stuff you need to get to quick i used these for gels and gloves. I’ve never worn a jersey before with this pocket combination but it works! It feels racy and comes in a range of fun fresh colour combinations. I love the yellow jerseys with light blue polka dots- for events and big rides this summer this is defiantly going to be what i’m wearing. That evening we drove through Andorra and into Spain, this is where we were going to be based for the next two nights. The mountains in the Spanish Pyrenees are smaller than the French but they are steep and there are lots of them. The photographer who as with us is Spanish so was able to explain a lot about the local traditions, cuisine and culture. In Spain we stayed in a little hotel at 1000m above sea level – above the tree line. Meaning big barren landscapes, steep sets of switchbacks and little lost mountain villages. You felt like you could head off and pedal for hours and not see another person or car! Off the main network of roads and climbs you could spot a network of fire roads one thing I’ve learn from my time in the Alps that quite often if you go off the beaten track away from the famous climbs you can end up in some of the most incredible places. In the mountains you should never resist the urge to explore and we headed off down some of these fire roads and pedaled down some of the smaller less direct roads the scenery was stunning. One of the best things about cycling is the social side, doing a ride with friends then stopping for coffees and snacks. 4 days on the bike equates to a lot of coffee stops. We cycled through a mix of local villages and larger base towns. Here we tried out the Chapeau! Cafe jerseys. This is a range with a slightly more relaxed edge. Its kit you feel comfortable wearing both on the road, in a cake shop or wondering round town in. Its still got a lot of the features of the performance range, you still have a secure waterproof zip pocket and two main rear pockets. 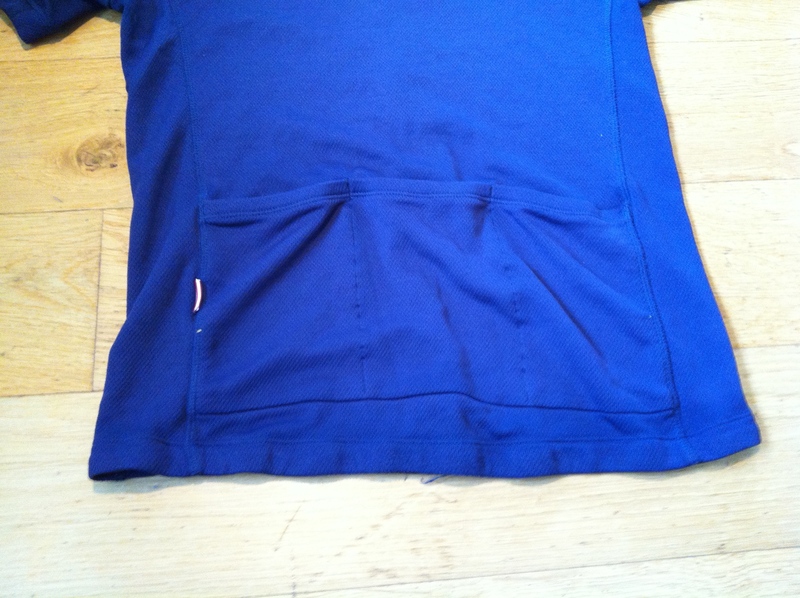 The material and shape is more casual but there is still a silicon hem to ensure the pockets stay where they should be. 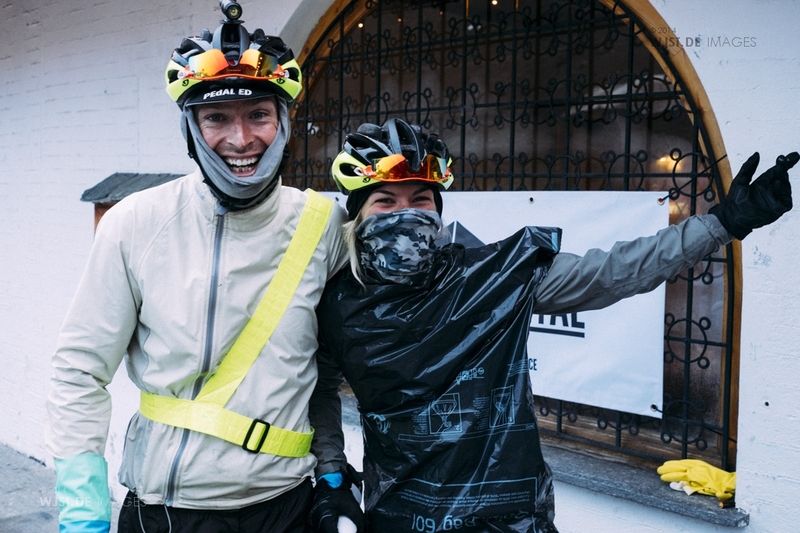 The jerseys are versatile without any loss of functionality, you could wear one with a set of bibs and head out on a big ride or throw it on with some jeans and pop to the shop. The Pyrenees is defiantly somewhere I would like to go back to and explore more. 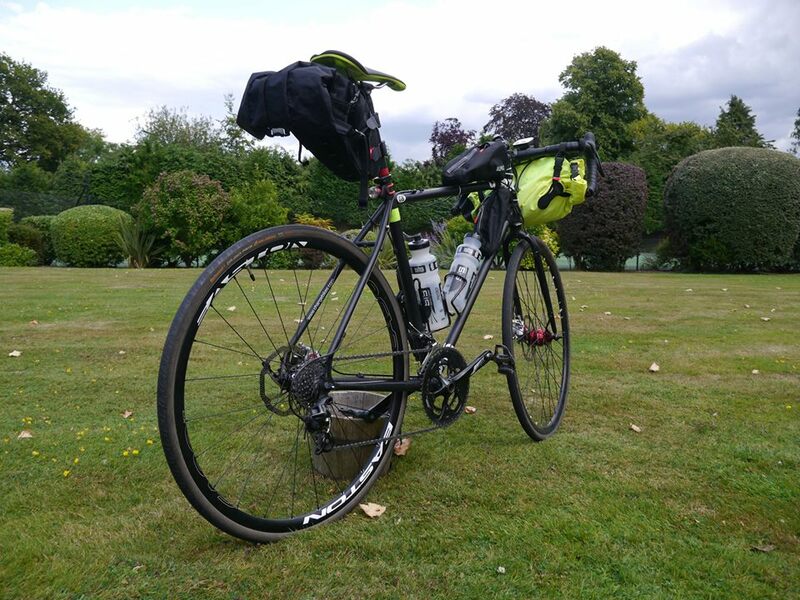 The whole trip was brilliant, the riding was varied – there were steep climbs, fast descends and coffee shop cruising with kit that was up to the challenge. Its great to know there are people out there making high quality kit that looks good for girls that ride bikes.